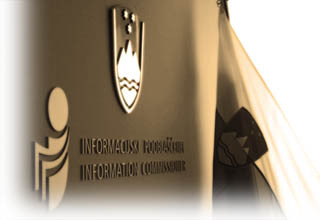 With the merger of two offices, Inspectorate for Personal Data Protection and Commissioner for Access to Public Information the Information Commissioner was established on the basis of the Information Commissioner Act on 31st of December, 2005. Slovenian Access to Public Information Act (APIA) was put into force in March 2003 on the basis of Article 39 of the Constitution of the Republic of Slovenia. With APIA, Slovenia took a step further towards the EU practice, since it stipulates that the applicant does not need to prove legal interest to obtain information of a public nature. APIA also defines Commissioner for Access to Public Information as an independent public office sui generis. The Commissioner is proposed by the President of the Republic for election (by ordinary majority) in the Parliament. In September 2003, the first Commissioner was elected. He subsequently established the Office of the Commissioner and provided guidelines for the activities of the Office. In August 2004, Nataša Pirc Musar, ex-journalist and a lawyer by profession, was elected as the second Commissioner. From December 31, 2005 onwards, the Commissioner performs her function as an Information Commissioner. Slovenian Personal Data Protection Act was put into force in January 2005 on the basis of Article 38 of the Constitution of the Republic of Slovenia, and Directive 95/46 EC.